Written by John Sikkema (CLF Associate Counsel), and Derek Ross (CLF Executive Director). In its report released in December, the Provincial-Territorial Expert Advisory Group On Physician-Assisted Dying recommends that assisted suicide and euthanasia be publicly funded and available for the non-terminally ill, the mentally ill, and for minors. Their Report says that its recommendations “were developed in response to the Supreme Court’s decision in Carter.” The Report claims, inaccurately, that the Court “did not limit the ruling to those unable to take their own lives, to cases of terminal illness, or to people near death” and that “[t]he Court’s declaration is not restricted to physical illnesses, diseases or disabilities, and includes mental illness.” The Report states that there should be no “arbitrary age limits”, after noting that the Court did not define “adult” in its declaration. The implication is that Carter requires the kind of broad access to “assisted dying” recommended in the Report. The Advisory Group misreads this declaration as a stand-alone amendment to the Criminal Code. Such a reading of Carter ignores both the facts of the case—on which the finding that the law violated section 7 of the Charter depended—and the context in which the above declaration appears in the judgement. The Court was not deciding the precise wording of an amendment to the Criminal Code. It was ruling on a case. Its declaration must be understood in that context. Before making any declaration, the Court had to decide whether the law caused a deprivation of the right to life, liberty, or security of the person and how. The only claimant suffering from an illness in Carter was Ms. Taylor. The Court relied on her factual situation for its Charter analysis. Ms. Taylor had ALS, a fatal neurodegenerative disease. The Court refers to Ms. Taylor, “persons like her”, and “persons in her position” throughout its judgement, as did the trial judge. In between those two statements, the Court reviewed and affirmed the trial judge’s reasons for concluding that the law deprived Ms. Taylor and persons in her position of the right to life, liberty and security of the person—reasons which depended on the factual circumstances. Their right to life was infringed because the law might “force” persons with debilitating diseases to take their own lives while they are still capable of doing so, for fear of being incapable later. 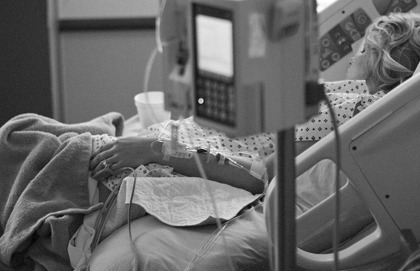 Their liberty and security were infringed because the law deprived them of control over their bodily integrity in the context of end-of-life health care decisions. In the Court’s view, the principle of patient autonomy on which Ms. Taylor relied in this context “is the same principle that is at work in the cases dealing with the right to refuse consent to medical treatment or to demand that treatment be withdrawn”. The Court also considered it contradictory that the law allows people in Ms. Taylor’s situation to request palliative sedation or to refuse life-sustaining treatment, while denying them assisted suicide. The trial judge had granted Ms. Taylor and her doctor an exemption from the law, after ruling that the law would become void in one year for violating Ms. Taylor’s Charter rights. Notably, the trial judge’s exemption for Ms. Taylor contained significant stipulations, among them that her attending physician must attest that she “is terminally ill and near death, and there is no hope of her recovering” before aiding her suicide. By the time the case reached the Supreme Court, Ms. Taylor had died of natural causes. Therefore, although the Court, like the trial judge, delayed the invalidation of the law for one year, no exemption was necessary in the interim period. The Court says nothing about the trial judge’s conditions for Ms. Taylor being unconstitutional and there is no reason to believe that they were, or that legislation with similarly strict conditions would be. Rather, the Court is adamant that enacting conditions is Parliament’s job. The Court’s clear statement that its declaration responds to the facts of Carter and not to other situations gives lawmakers far greater latitude to restrict assisted suicide and euthanasia than the Advisory Group’s Report may lead readers to believe. There were other good reasons for the Court to expressly limit the scope of its declaration as it did. “Slippery slope” concerns were raised before the Court. Canada was even granted leave to file fresh evidence before the Supreme Court on developments in Belgium since Carter was heard at the trial level. Canada tried to use that evidence to show that once assisted suicide is legalized, the criteria for granting access to it inevitably expand—the slippery slope. Taking the Court’s declaration out of context, you wouldn’t know that. 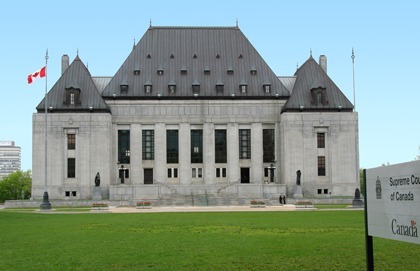 The Christian Legal Fellowship has questioned the logic of the Carter decision and where it may lead, but if Canadian lawmakers legalize assisted suicide and euthanasia for the non-terminally ill, the mentally ill, or minors, it will not be because Carter requires it. John Sikkema serves as in-house Legal Counsel for the Association for Reformed Political Action (ARPA) Canada.